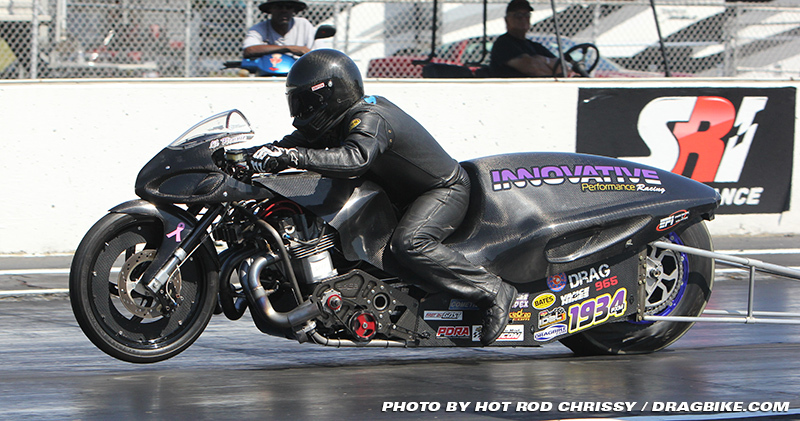 Ronnie Smith took a win this weekend on the Innovative Performance Suzuki. 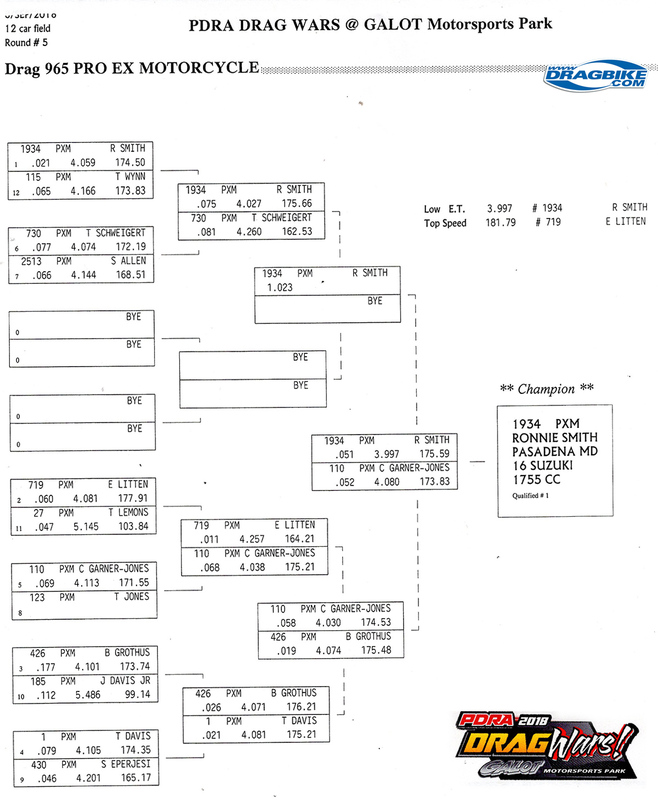 Smith qualified number one with a 4.02 over a twelve bike field. Smith came into the Drag Wars with a 300 point lead and he had no plans of being overthrown. In the final round against Chris Garner-Jones, Smith ran a career pass with a 3.997 at 175.59 to take the win over Garner-Jones’s 4.08. Pro Mod Extreme continues October 4-6 at Darlington Dragway for the Fall Nationals. Based in Pittsboro, North Carolina, the Professional Drag Racers Association is the top sanctioning body in the United States for the sport of eighth-mile drag racing. 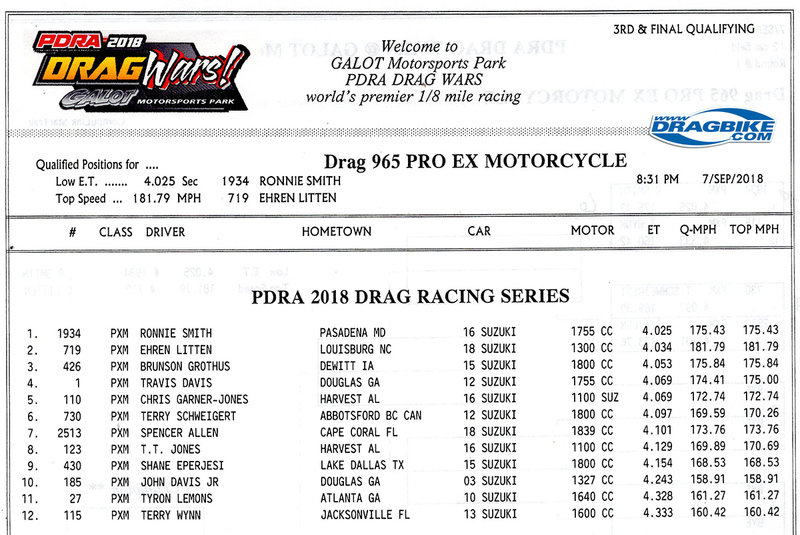 The PDRA’s professional categories include Pro Extreme, Pro Nitrous, Pro Boost, and Pro Extreme Motorcycle along with Top Sportsman, Top Dragster, Pro Jr. Dragster, and Top Jr. Dragster. The 2016 PDRA schedule consists of nine national events. For more on the world’s premier eighth-mile drag racing organization visit www.pdra660.com. Follow the PDRA: Facebook, Twitter, Instagram, YouTube.